The Hoakalei Cultural Foundation has its origins in the 1990s, when Kupuna Arline Wainaha Ku‘uleialoha Brede Eaton (who in the 1920s-1930s was raised at Keahi, Pu‘uloa), along with her elder life-long friend, Sister Thelma G. Parish (descendant of the Kimo Pelekane – Dowsett line), began working on documenting the history of Honouliuli, researching historic records, writing their own recollections, and sharing their knowledge through oral history interviews. Originally begun as a personal project, their work evolved as development proposals across the Honouliuli-Pu‘uloa lands were being formulated. These kūpuna wanted to share the rich history of place with those who would come to call Honouliuli home, and also work towards preservation of special cultural-historical resources of the land and sea. It was the work of Kupuna Eaton and Sister Parish that led to development of educational programs with students and community organizations to collect and document the heritage of their ancestral homeland. 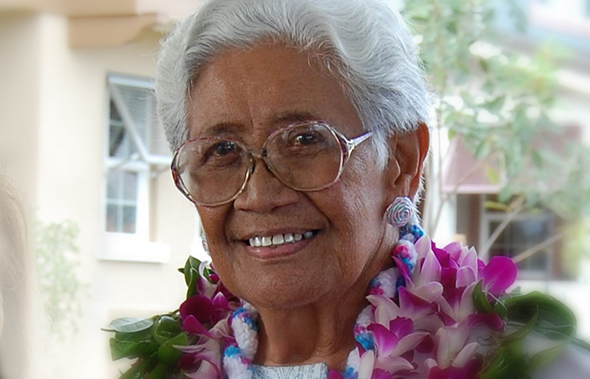 Sister Parish passed away in 2004, leaving Kupuna Eaton to carry on their vision. 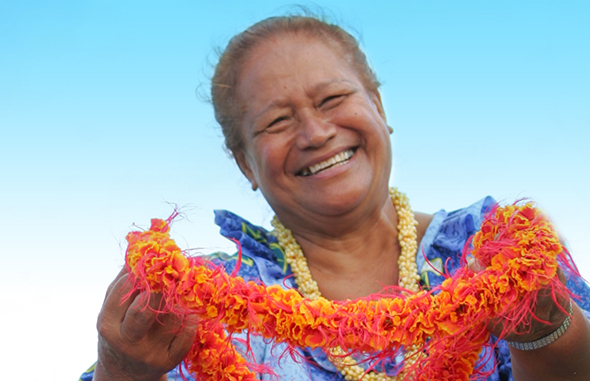 In 2005, working with community members, cultural organizations and Haseko Ewa Inc., Kupuna Eaton began paving the way for the establishment of the Hoakalei Cultural Foundation (Hoakalei CF). In 2006, the Hoakalei Cultural Foundation was granted federal non-profit status, and Kupuna Eaton, along with dedicated board members, volunteers and resource people, worked in developing educational outreach programs and implementing site preservation plans. Working closely with Kupuna Eaton to get the Foundation off the ground were Aunty Mary Kaipo Malama Serrao, Alicia Maluafiti, Frances Rivero, Sharene Saito Tam, Kalani Apana, Lisa Enanoria, Ku‘uwainani Eaton, Kau‘i Serrao, Wendy Ferreira, Tom Dye (T.S. Dye & Colleagues, Archaeologists), Muffet Jourdane, Kim Kalama, Planning Solutions Inc., and Kepā and Onaona Maly. Kupuna Arline Wainaha Kuuleialoha Brede Eaton (November 11, 1927 - December 5, 2013), lovingly known as Aunty Arline, was one of only two keiki to have grown up in Pu‘uloa in an area now known as Iroquois Point, ‘Ewa Beach. Raised by her grandparents, Tutu Mama Malia andTutu Papa Kaniela Kealoha, she remembered swimming in the ponds and traversing up and down the ‘Ewa Plain during a time when the countryside was generally open and dedicated to cattle ranching, the sugar plantation and military use. Prior to joining the state Department of Education's Kupuna Program, Aunty Arline spent 40 years working for Hawaiian Telcom and raising her family. She also worked as a Hawaiian studies teacher for Iroquois Point Elementary School. A great grandmother, she was very active in the community and was a member of the Royal Order of Kamehameha, the ‘Ewa-Pu‘uloa Hawaiian Civic Club, Hale Ali‘i O Hawai‘i, Ho‘omaika‘i Explorations Kamehameha Schools, Na Waiwai O Leeward, Ka Lei Pāpahi O Kakuhihewa, and the Business & Professional Womens Organization. 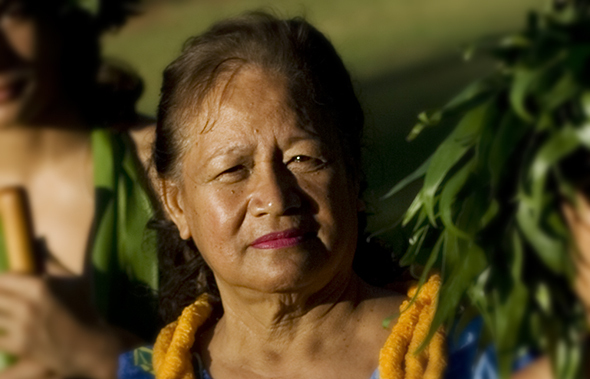 Aunty Arline served as President of the Hoakalei Cultural Foundation's board of directors until her passing. 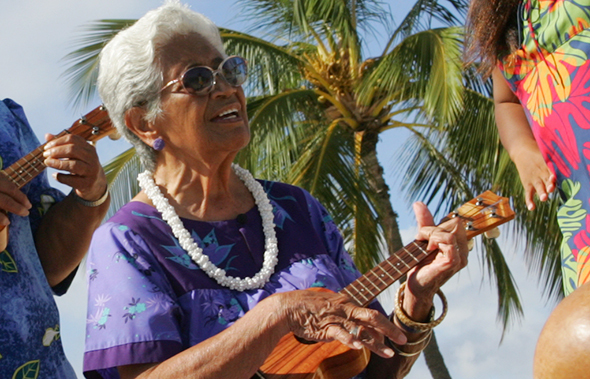 The late Aunty Mary Kaipo Malama Serrao was born on the island of Kaua‘i. She and her family moved to the island of O‘ahu after World War II. As a teenager, she spent her summers working as a packer at Del Monte Pineapple Co. After graduating from McKinley High School and Cannon Business School, she began a career with the federal government, retiring in 1990. Aunty Mary, her husband and children moved to ‘Ewa Beach in the 1950s, where she dedicated herself to working in the community. She co-founded the Pu‘uloa Outrigger Canoe Club (along with the larger state wide canoeing association) and was also a member of the ‘Ewa-Pu‘uloa Hawaiian Civic Club and the ‘Ewa Beach Community Association. She developed a life-long friendship with Aunty Arline Wainaha Kuuleialoha Brede Eaton, which was the foundation for their work together in promoting knowledge of Honouliuli Ahupua‘a, the larger ‘Ewa District, and the cultural preservation work of the Hoakalei Foundation. From 2006 until her passing on August 14, 2013, Aunty Mary served as Vice President of the cultural foundation. Her loss is deeply felt, but her legacy and commitment to perpetuating knowledge of place and cultural practices is carried on in the work of her children. Daughter Kau‘i Serrao and granddaughter Pualani Serrao have actively participated in implementing the mission and vision of the Pu‘uloa Outrigger Canoe Club and the Hoakalei Cultural Foundation, and carry on the work for the benefit of future generations. Aloha ‘oe Aunty Mary, mahalo a nui no kou aloha kau palena ‘ole, a hui hou aku!